We love when local companies call on us to help them expand their business. We were happy to be involved with a project that allowed Excel Physical Therapy to expand into the Elkhorn area. 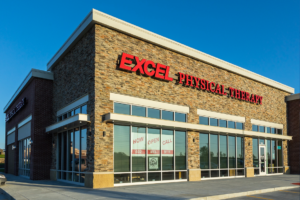 The expansion project included the completion of a multi-tenant flex building that would house physical therapy clinic space for Excel, and eventually other businesses. We completed the project within the projected six-month timeframe, allowing Excel to meet the needs of their clients in a new market. The Prairie Construction team can help fulfill your expansion needs on time and within budget – call us today!